Looking to feast on some comfort food during this blustery winter? Odds are you are reaching for a slice of pizza. Whether you like it loaded, crispy, doughy or topped with crazy ingredients, you can get a taste of it – every night (except Tuesday) if you so desire – with Shannon Pizza. 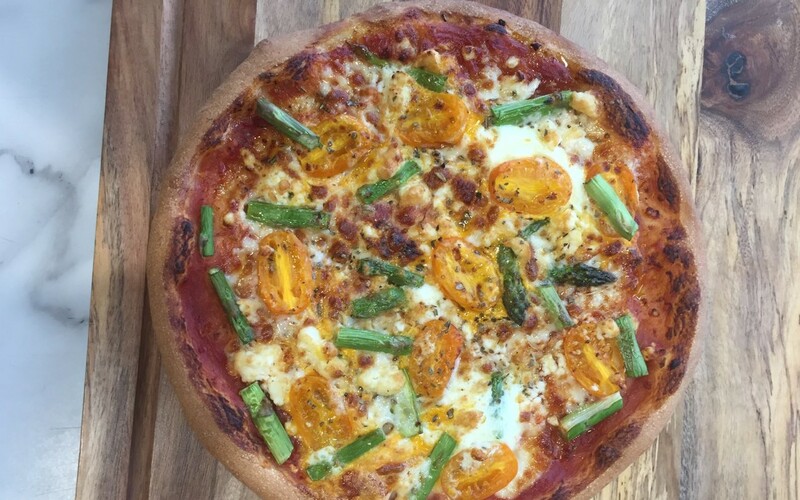 What makes Shannon Pizza even more desirable is that each month, the team introduce a special ‘pizza of the month’, that keeps customers coming back – and for good reason. Their current monthly special for April is a Vegetarian-friendly pizza, Asparagus and Goat Cheese Pizza! This one is covered in tomato sauce, cheese, cherry tomatoes, asparagus, goat cheese, egg, garlic, and oregano. Beautiful, crunchy asparagus with delicious goat cheese really hits the spot! Impossible to forget, the store is located in Geelong West – you’ll be coming back for more all winter long.